The Lord of the Grey Havens, Cirdan, was the wielder of the Ring of Fire, Narya, and the only named elf to ever be able to grow a beard. His implementation in the mod acknowledges all those facts but it did not yet show his full power as a master shipwright, his skills which he had honed over the many millenniums of his life creating beautiful ships. But that was all before, now Cirdan's abilities have all been changed to exhibits his role as a Shipwright, a wise prince and as the Lord of the Grey Havens in addition to increasing his strategic uses. His abilities are now unique and his role as a hero of Imladris is more fledged out than ever. was grey and old, save that his eyes were keen as stars..."
Cirdan's core concept hasn't changed, he is still recruited from the Lindon Tower and still attacks with his sword, bringing down on his enemies the wrath of the Elves. However his abilities have now changed, tying the in-game hero closer to the lore of Tolkien's character as a shipwright of talent and an elf of great knowledge. -Lvl 1: Narya's Inspiration- Cirdan uses his Ring to kindle fiery courage in the heart of his allies. Units around Cirdan gain +25% armor. When the ability is activated the bonus will be increased to +50% armor and damage. However, once the duration of the ability expires the passive leadrship will be disabled until the ability is fully recharged. This ability remains unchanged, it is reminiscent of the power that the Ring of Narya gives the user, not in magical strength or destructive might but rather in the ability to kindle the fires of battle even in the most cowardly of beings. Giving the player the chance to decide between a lesser constant armor buff or a greater temporary armor and damage boost, perhaps strong enough to turn the tide of battle in favor of Imladris. -Lvl 3: Lord of the Havens- The Lindon Tower gains more power as Cirdan gains knowledge. Passive ability. This ability's concept is the same however its effect has changed, it now provides much stronger upgrades grouped together instead of spread over multiple stages. Instead of slowly increasing every stat, every new level will bring one big improvement to one of the stats. -Lvl 5: Master Craftsman - Using his knowledge as a shipwright Cirdan will repair the target building, ship or siege engine and allow it to deal double damage for 30 seconds. Cirdan's ability to heal units never made much sense, he was never known as a great healer, like Elrond, in the same way he was known for his skill in crafting all manners of engines. Additionaly, Cirdan is balanced depending on his role in Imladris, a faction which already has diverse range of healing abilities affecting both units and heroes but lacks a good repair power despite being a faction meant to be able to endure, meant to oppose all evil. 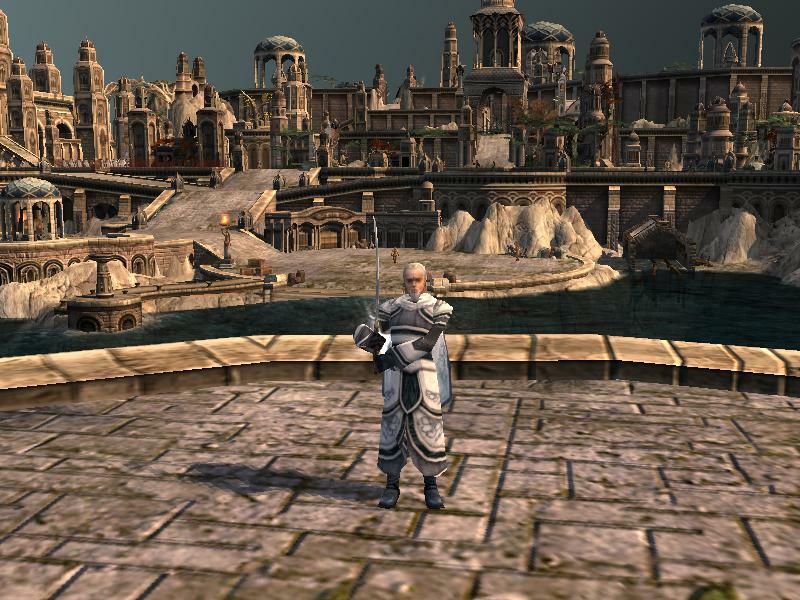 -Lvl 7: Into the West - All units in the target area units travel to instantly to Cirdan. This ability has the most strategical possibilities. The player can choose to use it in any number of ways such as to retreat back to the fortress, to reinforce the frontline with new forces, to move big amount of an army in order to flank the enemy. With this rework, all will fear to see fully armored, battle-ready troops appear next to Cirdan or curse his name as a weakened hero escapes their grasp. Ulmo's Aid is a massive boost in armor to all siege units, building and ships which is mainly used for defensive purpose, to sustain the onlsaught of a siege. However, a strategic player will immediatly see other uses for a spell affecting such a diverse range of units, but that is up to you to discover. From a lore perspective it would make more sense to center Cirdan's power solely around ships since it was his true passion and skill. However from a gameplay perspective it would restrict Cirdan's use to maps where ships are available, in addition naval warfare is not the most common form of battle in the mod which would have resulted in him being recruited very little. Instead, we decided to center his abilities mostly around siege engine and buildings but also add in the ability to affect ships in order to tie the in-game hero to the character. Of course these tweaks will also affect the version of Cirdan that can be recruited in Arnor but we are keen to believe that it is for the best.